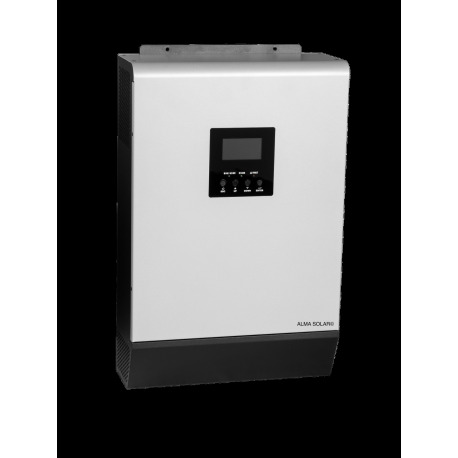 Buy your Hybrid inverter MKS 3kW Plus at exceptionnal price online (for self-consumption). An smart grid inverter ALL IN ONE grouping regulator / battery charger, inverter electrical network, switch and associated protection. With its intelligent management, this self-consumption inverter charges your batteries, and replies to your electrical needs through your solar panels. BECAREFUL, this inverter is made to use an OFF GRID, and NOT suitable for domestic consumption.